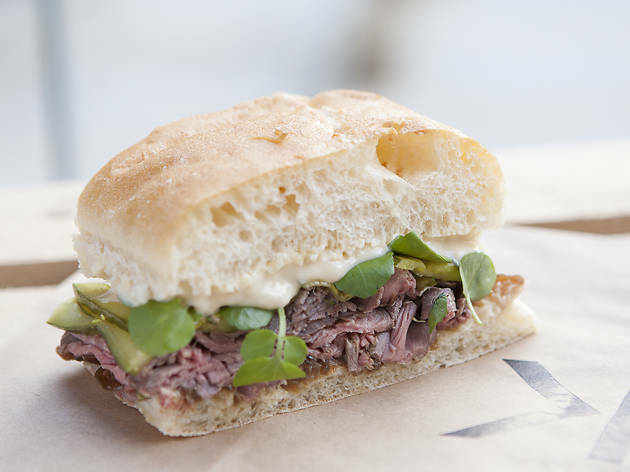 The humble sandwich keeps London running, but some places elevate it to a whole new level. We've picked out the restaurants, cafés and street food stalls which are transforming your sad lunchtime snack into the best bit of the day. 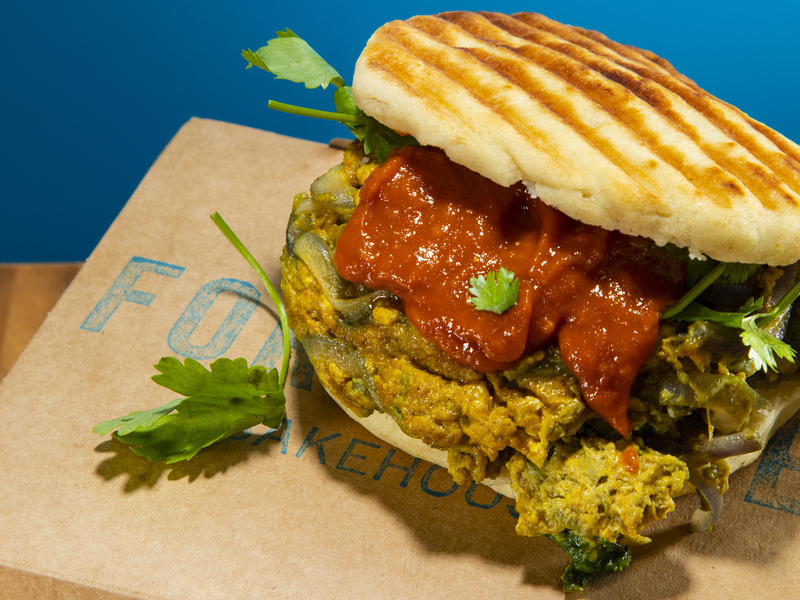 Step away from the sad supermarket sarnies and work your way through this list instead. 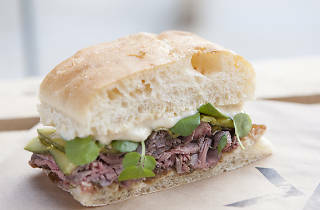 Any sandwich-lover worth their Maldon sea salt has worked their way through the menu of enormous sarnies at Max’s, but this guy’s a newbie. 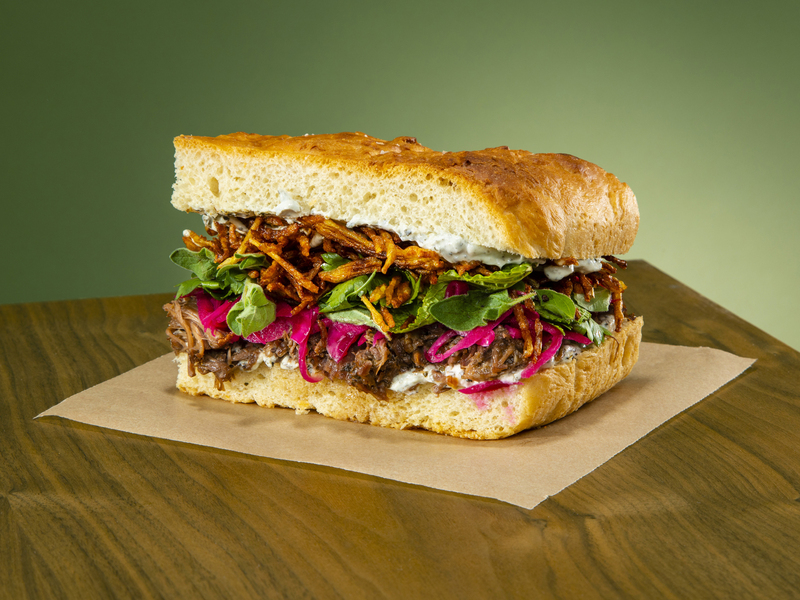 The pomegranate-molasses-braised mutton is literally dressed as lamb: it’s smeared with a mixture of mayo and Colman’s mint sauce (don’t pretend you’re too good for it, because it’s undeniably a genius move). It’s also stuffed with fresh herbs, while shoestring fries bring some oily, salty crunch. Yep, Max has aced it again. 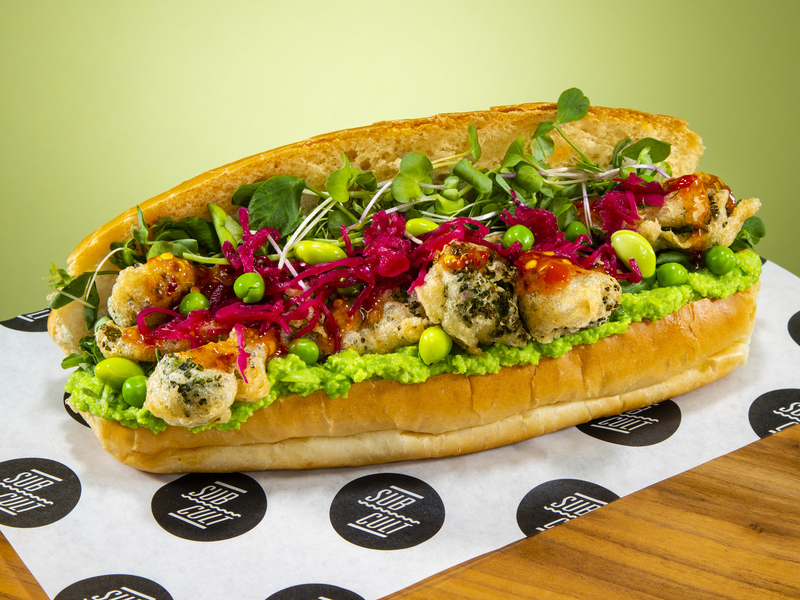 Sarnie royalty Sub Cult has come up with an ingenious way to get you to eat your greens: coat ’em in batter. In this plant-based special, spears of tenderstem broccoli in a lightly spiced ginger beer batter lie on a verdant bed of pea, edamame and sesame houmous. Pink pickled cabbage and sweet chilli sauce add crunch and zing. Proof that vegan food doesn’t have to be pseudo junk to be delicious. The unusual breads and baked goods at Fortitude Bakehouse are so fantastic that this sourdough batbout (Moroccan flatbread) could have made our list without a filling. But that would mean missing out on the subtly spiced, gently sweet, soft scramble of Berber omelette, onions and herbs that make it an absolute knockout. Is there anything worse than a poorly distributed sandwich filling? The brioche rolls at this posh street food van solve that problem by mimicking the teardrop curves of the chicken breast exactly. But this bird’s got a lot more going for it than aesthetics: the highest-quality French Label Rouge poultry is used. Pea shoots, roast carrot purée and parsley mayo lift it from mundane to Michelin. It’s sure to bring out your schmaltzy side. Got a penchant for a McMuffin? Consider graduating to this more respectable indulgence. Popina’s Balkan pogacha roll is extra-soft thanks to a dose of in-dough potato and it’s extra-photogenic thanks to a sprinkling of turmeric. A hearty, inviting container for smoky strips of bacon and a wedge of egg so hefty it must be the work of several hens. Or an emu. 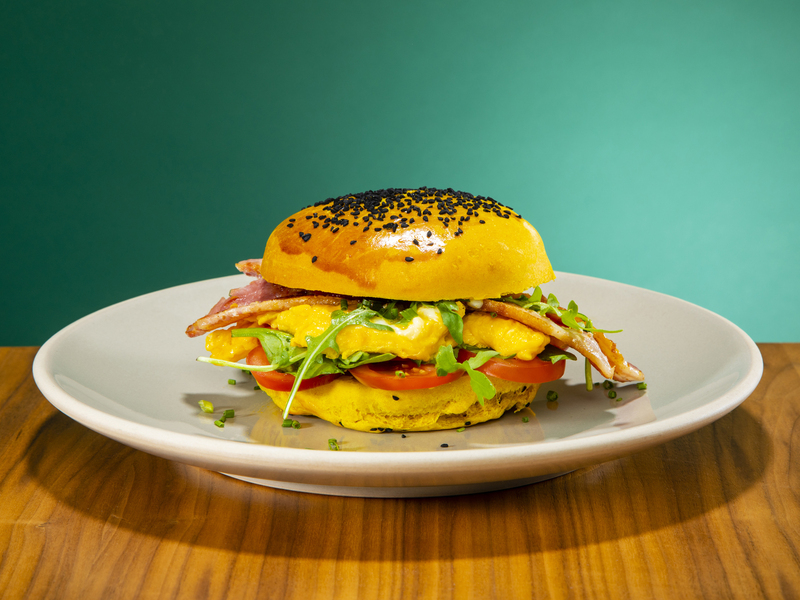 It’s usually not a good idea to mess with a classic, but there’s a lot to love about this poshified fried egg sarnie. 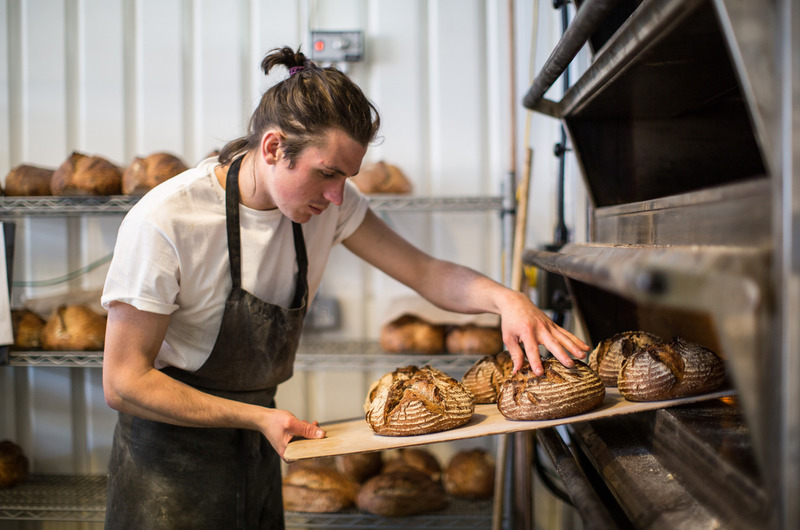 Its impeccable focaccia is freshly made by Dalston bakery The Dusty Knuckle which supports young Londoners struggling to find work. Its green chillis and spring onions are quick-pickled. The grated cheese lightly sprinkled on it is Lincolnshire Poacher. And it can take a squiggle of ketchup if you want it to, because even hipsters need Heinz. It’s not named after the sneaker, but Finsbury Park sandwich shack The Black Hamburg has all the cool credentials of the Adidas classic. Plus it’s around the size of a shoebox. Pre-meal jaw stretches are advised as this monster pile of slow-cooked beef, shack-made kimchi and Ogleshield cheese is so good you’ll want to get as much in as possible. Yes, you’ll get dribbles of spicy, meaty gravy down your top. No, you won’t care. Do not underestimate how sloppy this sandwich is: unless you own an adult bib, you’ll need cutlery and you’ll need to concentrate. 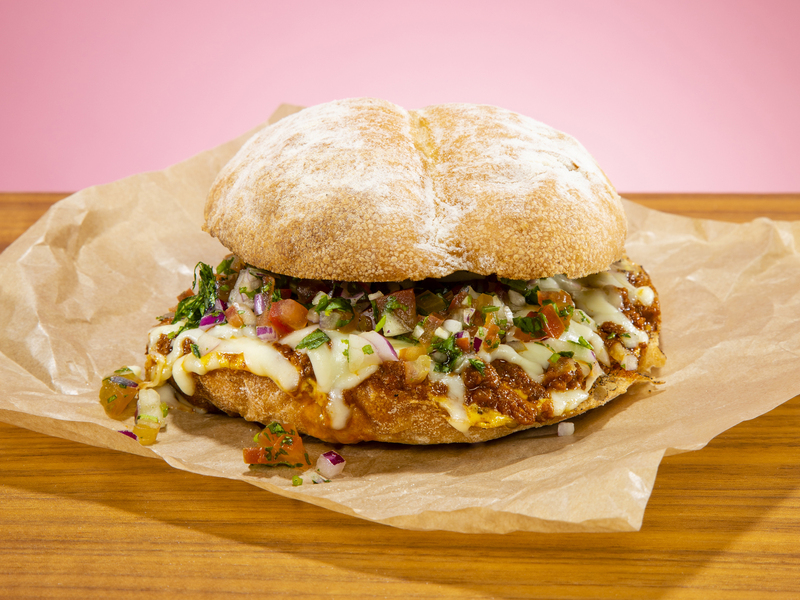 A floaty-light pan francés roll (Andina Bakery was purpose-built to produce fantastic Peruvian bakes) soaks up a rich bolognese sauce, melted cheddar and fresh tomato salsa. It’s already epic but reaches new Andean heights when slathered in El Peruano, a sriracha-style hot sauce made with mangos and native Peruvian chillies. The ultimate sweet sandwich is a Victoria sponge, but that’s not really socially acceptable as a meal. So instead, drop by Simit by Mandira for a sesame-encrusted ring of crunchy Turkish bread topped with creamy ricotta, preserved figs and acacia honey. Fruit, seeds, sugar, dairy… it’s practically granola. That means you can have cake for pudding. The fishfinger sandwich is hardly a challenge to rustle up, but M1lk’s breaded fillet is to the cornershop deep-freeze version what Johnny Depp is to Captain Pugwash. Pleasingly salty pickled onions and freshly shredded iceberg lettuce top a generous wedge of flaky, perfectly cooked red snapper. The peach-coloured condiment provided is reassuringly similar to burger sauce in both look and flavour, while the bright white bread is softer than a sea sponge. Hopefully the crusts went to hungry gulls. Feeling doughy? 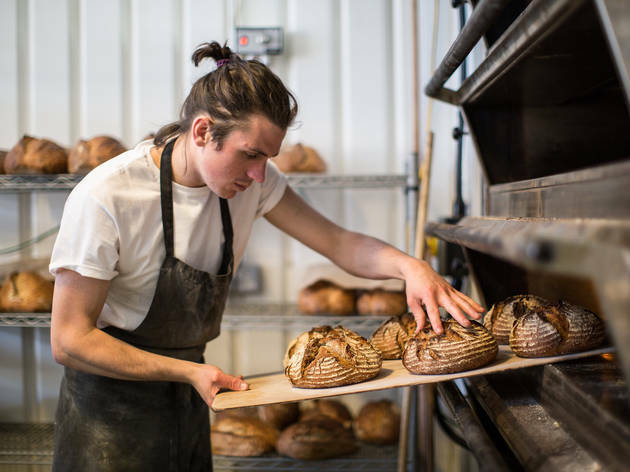 Us too – so we’ve rounded up the bakeries that have proved the best in the capital, rising to the occasion and supplying the finest loaves, pastries and cakes that London has to offer.